Since the year 2000, Celeo Redes has been operating on the power transmission industry, and now has 12 Utilities, one of which is under construction, in 11 Brazilian States, totaling more than 3,900 km of 500- and 230-kV transmission lines, and twelve substations with installed capacity of 4,875 MVA. In the ongoing quest for excellence in maintenance practices and increased reliability, while reducing the transmission system unavailability and maintenance costs, Celeo maintenance engineering seeks to apply state-of-the-art, highly effective tools and technologies. Based on this principle, the implementation of on-line monitoring of the autotransformers and reactors of the group’s concessions started in 2011, and now covers virtually all the assets of these families, totaling 38 devices, in addition to some smaller devices – but important for transmission functions, such as grounding transformers. This paper introduces the corporate system solution adopted to achieve this goal, making use of the corporate Information Technology structure to ensure the proper system maintenance, thus ensuring its continuity, with excellent outcomes, in a similar way to what is already done by default for other corporate systems, such as ERP, SAGE and others. The paper intends also to introduce a selection of subsystems to be monitored and, consequently, the sensors used, the communication network architecture that enabled integrating substations located in five States of four regions of the country. Finally, the paper will report on how the corporate monitoring system was integrated into Celeo’s maintenance engineering routines, contributing to the achievement of important results in equipment failure risk reduction, reduction of shutdowns for maintenance, reduction of maintenance costs, and, consequently, improvement of the operating results. For this purpose, real-world cases of detection of risk conditions for reactors operating in regions with high ambient temperatures, as well as the mitigation actions in progress. Therefore, the article will demonstrate how useful the information provided by the monitoring system are, as well as the feasibility of using it to positively influence maintenance routines at transmission utilities. 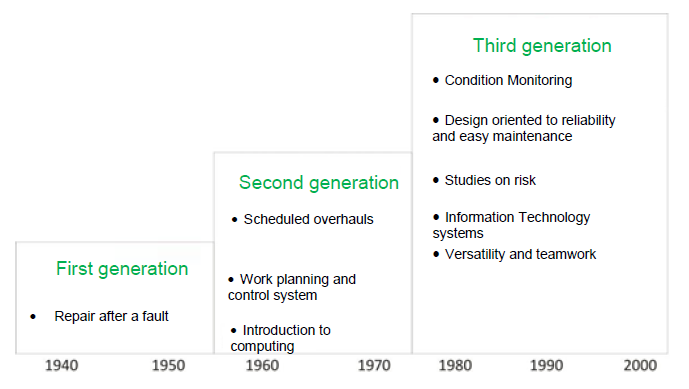 The implementation of on-line monitoring and the modernization of maintenance processes at Celeo were carried out in a hierarchical sequence of stages, following the architecture shown in figure 3. The pyramid shown in this figure provides us an insight that the implementation process has sought to build a solid architecture where the proper implementation of a stage lays the foundation to move to the next stage in a consistent manner, thus ensuring the desired final results. The steps completed to implement the on-line monitoring at Celeo Redes are detailed in the following topics. Asset sensing is considered a fundamental stage for the construction of a functional, reliable on-line monitoring system. For this reason, it was the first step when implementing this system at Celeo. 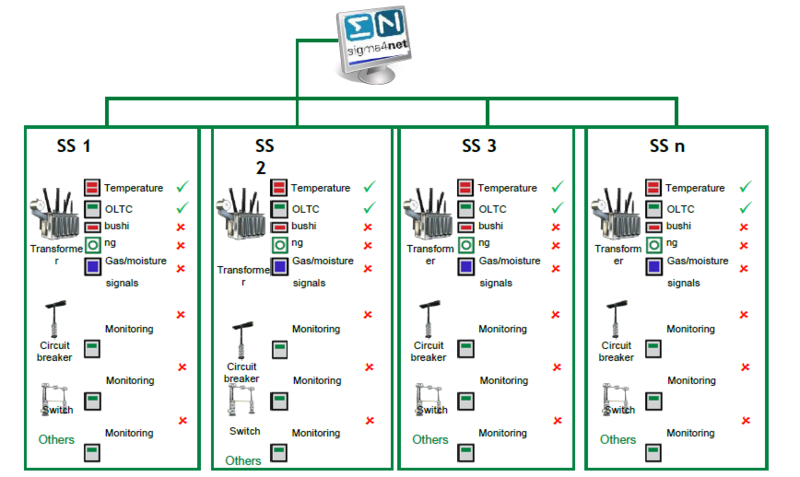 Figure 4 shows the primary sensing modules available for power transformers, autotransformers and reactors, which were the devices chosen for the initial system implementation, since they are the most valuable ones at Celeo substations. 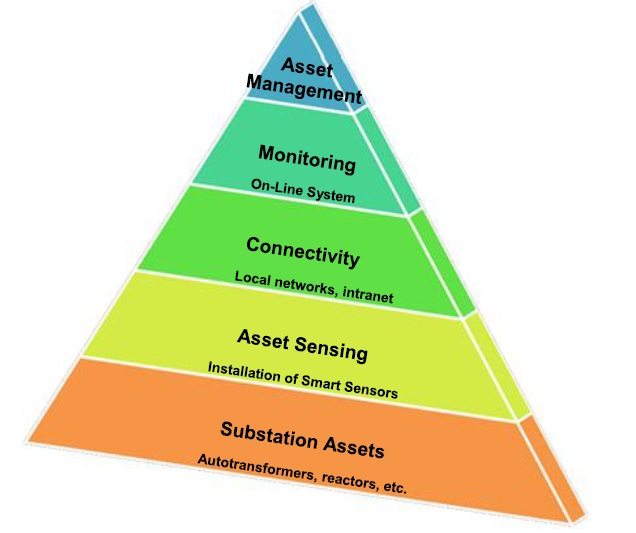 The decentralized and modular architecture (2) used by Celeo for asset sensing allowed, at first, that the sensors deemed priority for the company were selected, thus allowing the monitoring of all assets in these families, totaling 38 devices, in addition to some smaller devices – but very important for the transmission functions, such as grounding transformers. Table 1 lists the Smart Sensors selected for installation at this deployment stage, in addition to the variables measured and calculated by each of these modules. As mentioned earlier, the decentralized, modular architecture used will allow, at future stages of system expansion, expanding the sensor base installed in the autotransformers and reactors with other types of sensors, as shown in figure 4. This architecture will also allow extending the on-line monitoring system to other substation assets, such as circuit breakers, disconnecting switches, etc. 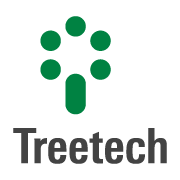 At the Asset Sensing stage, a decentralized, modular architecture was adopted, using Intelligent Electronic Device (IED)-type sensors with native connectivity, i.e., with open communication ports and protocols. This architecture made integrating the sensors into a local communication network easier, which takes the variables acquired and processed there to the corporate intranet network, already available in the control room of all substations. As a result, the data from smart sensors was made available for the next stage of the on-line monitoring system implementation, as detailed below. We stress that the architecture used simply allows expanding the sensing of the assets, since the new smart sensors to be installed can be easily connected to the existing communication network. Since the Smart Sensors installed in the autotransformers and reactors are connected to the corporate intranet network, a single on-line monitoring software product was deployed at Celeo Redes for diagnosis and prognosis of the state of all assets, thus constituting a corporate system as shown in figure 5. Consolidation of all asset data into a single database and platform, facilitating reporting and information mapping. In order to reach the final objectives of the on-line monitoring system with respect to the effective management of Celeo Redes assets, the corporate software deployed includes diagnostic and prognostic algorithms, called Engineering Modules, which can also be expanded as new Smart Sensors are deployed (3) (4). 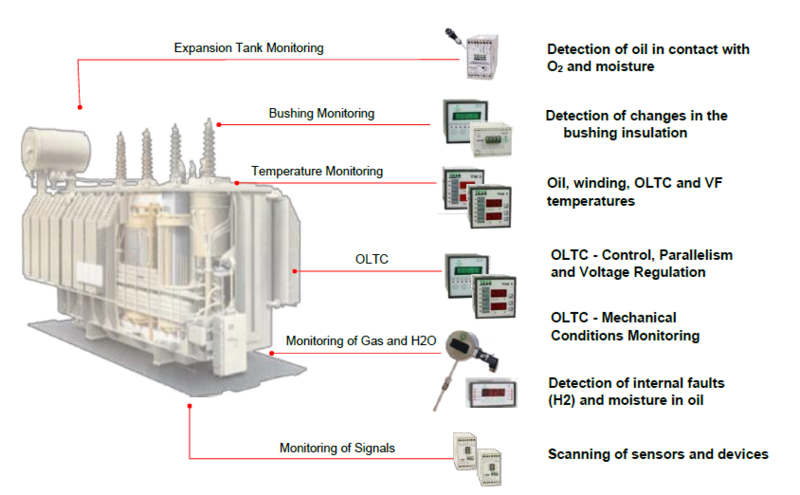 Based on the smart sensors currently deployed in the Celeo autotransformers and reactors, the monitoring system was initially equipped with the Engineering Modules listed in Table 2. Integrating the corporate on-line monitoring system into Celeo’s maintenance engineering routines contributed to the achievement of important results in equipment failure risk reduction, reduction of shutdowns for maintenance, reduction of maintenance costs, and, consequently, improvement of the operating results. The procedures adopted to implement this integration included the monthly issue of a report on abnormalities in the monitored devices, which is submitted to the company’s technical board during a monthly maintenance engineering discussion meeting. A real-life example of the results obtained from this integration was the detection of risk conditions for shunt reactors operating in regions with high ambient temperatures, allowing risk mitigation measures. 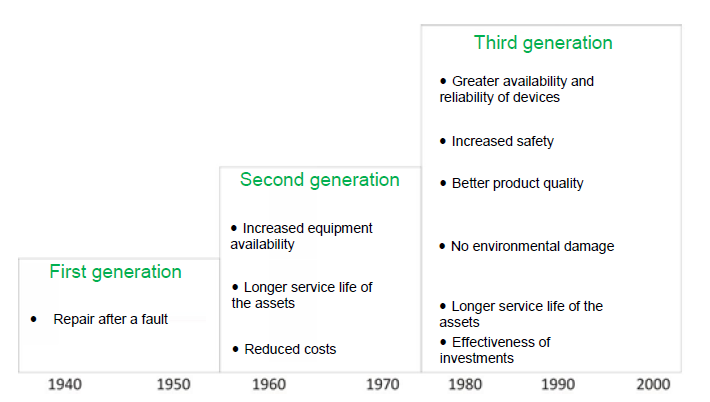 Thus, the implementation of on-line monitoring of autotransformers and reactors at Celeo Redes utilities has achieved the initially proposed objectives, which led the company to move to the next stage shown in Figure 3, namely the implementation of a corporate asset management and maintenance system, described below as the vertical evolution of the solution. Parallel to this vertical evolution, the organic and natural evolution of the currently implemented solution is in progress as well, consisting of adding new sensors and engineering modules for autotransformers and reactors, and of extending the system to other strategic assets at the substations. The implementation stages for the on-line assets monitoring, mentioned in this article, are currently implemented and consolidated at Celeo Redes, and the expected benefits are already being reaped. As a result, the next steps in the evolution of the solution are currently in progress, including the implementation of a corporate asset management and maintenance system with native integration to the on-line monitoring system, in order to consolidate the path towards to the final adoption of predictive maintenance, and with technology-based productivity tools, such as mobile applications for field teams. These system evolution stages will be presented in a timely manner in subsequent papers. The paper demonstrated, with a real-world case, the feasibility of integrating on-line asset monitoring systems into maintenance engineering routines, as well as the benefits of such integration. The heavy reliance of the integration success on selecting a sensing architecture suited to the reality of the power utilities and on establishing a system building process based on logical, sequential stages has been demonstrated as well. The next solution evolution stages have been indicated as well, being currently at company, and these will greatly enhance the benefits from the technological maintenance upgrade strategically adopted by Celeo Redes.